It looks like MLB has laid down the law for the near-beanball activity at Yankee Stadium and it's not good for the Orioles. Fair, or not fair, Daniel's lack control and emotion may seem to have caught with him. It doesn't matter who you are -- if you're a repeat offender, whether throwing at someone was intentional or not -- you're going to most likely suffer. As with anything in life, once you have a reputation, it's very hard to shake it. Cabrera was suspended six games and fined an undisclosed amount for what vice president of on-field operations Bob Watson referred to in a press release as "intentionally throwing a pitch in the head area" of Rodriguez. Yankees reliever Edwar Ramirez was suspended three games and also fined an undisclosed amount for committing the same offense one day later, throwing at Orioles first baseman Kevin Millar in the seventh inning at Yankee Stadium -- a pitch deemed to be in retaliation for Rodriguez's plunking one night earlier. The Yankees reliever appealed the suspension, putting the punishment on hold until his case can be heard. Obviously he will appeal, but this punishment was unfair and it's clear to anyone that Cabrera's lack of control is got what Alex Rodriguez plunked, not malice. I guess Ramirez got lucky for the same crime -- oh, I guess he's never been in trouble before. It's too bad it took a ton of drama and Manny Ramirez to earn a one-way ticket out of Boston this evening. Needless to say it was surprising; however, when you make $20 million per year, attacking your bosses (there may be two sides to this story) isn't exactly smart, especially with an ownership group like the Red Sox. Now, I think the Red Sox allowed this behavior to escalate way too far due to letting Manny get away with a litany of misdeeds and stupid behavior in the past for the sake of "W's" and two titles; alas, the slugger needs to learn you don't piss off the people signing your checks. Fans might have found his routine cute, but I sure didn't. Despite it all, I'll seeing him in the AL East, but I'm sure there are some relieved to see him gone from Boston. And as Thursday afternoon has come and gone, all was quiet on the Orioles front. Good or bad? It would have been nice to see one move, but I guess it is what is. Well, at 4pm today -- the hyped MLB Trade Deadline will come and pass (ok, it's not really -- players can still pass through waivers and a deal could be consummated until late August), but it looks like the Orioles will sit on what they have -- for now. There were some big moves, small ones, and a blockbuster or two, but in Charm City, all may be quiet, unless MacPhail gets something to work with at the last minute. A lot of people hoped something would have happened, such Huff -- who is having a monster year -- traded for youngsters, and the same with Sherrill, Millar, Payton, Bradford, Walker, Ramon, and whomever else -- but it looks like the market isn't really biting on anyone. The only Oriole who has even attracted a good amount of interest in the media was a Sherrill; however, it looks like MacPhail will not get what he wants for him and plus there's already a dearth of relievers -- especially left-handers out there. Surprisingly, not much has been heard on Huff -- who is currently batting .302 with 22 homers and 72 RBI's. Perhaps a lot of the moves may be in the off-season, and a few guys are coming off the books after '08; thus, this team may look even much different than is now by Spring Training of next year. ***Aside from all the trade talk, there's another pressing issue with the Orioles -- their pitching. From what we have seen in the past week, with the exception of Guthrie and some extent, Daniel Cabrera -- the pitching staff needs someone who can go deep into games. The pitching staff has been real rocky and it seems to be very seldom now that an Oriole hurler goes into the sixth inning -- which is especially troubling considering the amount of stress it puts on your bullpen. Pete Kerzel of PressBox looks back at the 1983 World Series reunion which was held at Camden Yards last week and also a rundown as to what is going down in the minors; Camden Chat has their thoughts on the latest trade rumors as does the Loss Column & Oriole Central, Roar 34 has news about what is going on around Oriole-land; Dempsey's Army takes a look at Aubrey's nice year; Tony Pente opines on the state of the Orioles. For those of you who don't know, Roch Kubatko, former Sun writer and blogger has taken a job with MASN - the Mid Atlantic Sports Network. Although it is a little disheartening to see him have to leave the newspaper end of things, he'll still be doing Orioles and Ravens coverage for the RSN here. It looks like the Oriole coverage will become even that much better, and MASN made a good move by scooping him up. For some of you who have read this blog for a while, you know how I feel about the unwritten rules of baseball. If you're just getting an introduction to this blog, or don't know my stance -- I think the rules are stupid -- no matter how anyone tries to justify it to me. In the New York papers this morning -- Joe Girardi, whom I have found to be a tad overrated as manager despite the wonderful job he did in Florida -- felt that Daniel Cabrera in yesterday's game nailed Alex Rodriguez on purpose. Why Girardi felt this way, despite 99.5% people thinking otherwise -- I don't know -- however, he felt that the Yankees needed some retribution against the Orioles for seeing their precious superstar plunked. In an otherwise forgetful game in which Dennis Sarfate, in his first major start got rocked and Brian Burres -- who came in the game as a reliever -- looked even worse, what I will remember from this game is Joe Girardi's lack of judgment. I completely missed this game at work, but got to see it on mlb.tv tonight, and I have decided that Girardi is now an idiot former jock. He sent Edwar Ramirez out on the mount in the sixth inning -- or the hurler took it upon himself -- to engage in some chin music. In the top of the seventh inning, Ramirez threw a pitch towards Kevin Millar's head, and the Oriole first baseman was lucky to get out of the way by ducking. Ramirez got ejected from the game. Why anyone would throw at Millar, I have no clue -- however, he owns the Yankees at the plate -- so that might have a been a factor. Lest we not forget, the recently deposed Yankee Latroy Hawkins nearly beaned Luke Scott in a game earlier this season. Otherwise than that Bobby Abreu spanked us, A-Rod homered again, and the Orioles looked flat after an exhilarating win against the Bombers on Tuesday night. At least we took two out of three, but a sweep would have been nice. We head to the Emerald City next for a weekend set against the Mariners. During the All-Star Break (the Monday before the game itself), Oriole ace Jeremy Guthrie entertained fans at the ESPN Zone in Baltimore's Inner Harbor. I was not there in attendance, but ESPN Zone regional manager, Leigh Friedman, gave a little rundown of the event. The hurler was very personable and giving of his time with the fans along with kids in attendance -- not to mention very good at all the games. Guthrie played against fans on games including air hockey to jet skiing to car racing. Being the athlete he is, Jeremy especially impressed everyone with his abilities on the basketball (shooting) and football (passing) games, as well he also took a turn as a switch-hitter in the baseball game. Fans were asked to donate $5 to play against Guthrie, with all proceeds going to Orioles charities. Aside from supporting a good cause, fans definitely got their money's worth. Guthrie played the games at length, talked one-on-one with the fans, signed autographs, and posed for lots of pictures. All participants also received ESPN Zone and Orioles prizes. What game a last night in the Bronx. Well, watching Sherrill try to close out the game last night added some unwanted stress in my life short-term and sent my heart racing, but in the end, the Orioles beat the Yankees, 7-6. Sherrill was not on last night in the ninth inning as he let the Yankees come back from a 7-4 deficit; however, he got a key strikeout with Robinson Cano and retired Wilson Betemit to end the game. Although Baltimore has struggled as of late, they are a on a roll already winning two straight against a previously hot New York squad. Daniel Cabrera earned the win as he shut down the Yankees for seven innings and only gave up one run – an Alex Rodriguez homer. However, he was embroiled in a little bit of controversy as he was ejected from the game in the eighth inning due to plunking Alex Rodriguez. Obviously, many O’s fans including myself found him being ejected to be more or less bulls**t, but it looks like Cabrera may have earned himself an unwanted reputation. Plunking someone with a five run lead? Especially from a pitcher with control issues? C’mon? But that event gave the Yankees some momentum and perhaps sent the Orioles off track for a bit. Thank the Lord for Aubrey’s homer in the ninth. Boy, is he having a monster year – are we sure we want to get rid of him? The Orioles beat the Evil Empire in resounding fashion, 13-4, last night in the Bronx as Jeremy Guthrie had an another amazing outing and Adam Jones hit his first career grand slam — an absolute bomb — in the sixth inning off of Yankee reliever David Robertson. Baltimore used the longball — four in total — along with timely hitting to chase former Oriole (it seems so, so long ago) Mike Mussins to the showers after a few innings of work. It was nice for a change to see Guthrie get a lot of support and for the Orioles to win a laugher for a change rather than having to comeback. As we head into Thursday, the trade deadline is upon us. I know we have talked about this topic at length, but what would like to see happen? Right now, it looks like there may be little to no movement on part of the Orioles to get some talent in before the month is out. It looks like Sherrill is the best bet to moved — however, it will be on MacPhail’s terms — but then, there’s Huff (who is having a monster year) and has a small chance of leaving, along with Millar, Payton, Hernandez, Bradford, Walker who are trade bait. Even if no one is moved, players can still be put on waivers and anything can happen from then — though most likely, not much ever does. Meanwhile, it looks like Mark Teixiera may be rumored on the move — again (well, at least for a pricey two-month rental). Honestly, do you think he’ll be coming to Baltimore in the state that the team is in? Some if you know, I’d love to have him here; however, we have a lot of holes to fix — starting with the pitching — thus, in my opinion, it’s a poor use of resources to being the slugger here as much the pro-Mark crowd wants. What a sweet win. You all know what happened — the Orioles finally snapped a streak of 15 consecutive Sunday losses as they beat the Los Angeles Angels, 5-2, on a overcast and rainy day in the mid-Atlantic region. Guillermo Quiroz had three RBI’s to down Ervin Santana — who walked into the Yard with eleven wins. Olson looked great as he finally pitched to his potential, going a little more then six innings and giving the Orioles a chance to win. George Sherrill earned his 30th save, and time will tell if he’s in an Oriole uniform by weeks’ end due to the trade deadline. It was a great Sunday and even better to see the Orioles finally win on the Sabbath. We’ve got changes to make, moves to do — Liz was sent back to Norfolk, while Walker was activated — and whatever else, but the Orioles landed on the Worldwide Sports Leader, perhaps for all the wrong reasons — but hey, we needed the win. Meanwhile, an old friend of ours — Sir Sidney Ponson — is getting his arse kicked in Beantown. Brian Burres was terrible; meanwhile, the 'pen kept the Orioles in the game as they chipped liitle by little to stage a comeback. Alas, in the end, it would be the same old story for the the Orioles recently -- another loss. Last night, Baltimore lost to Los Angeles, 6-5; however, the game was razor close as Kevin Millar hit his second homer of the night off Francisco Rodriguez to bring the Orioles within one. Fans in attendance felt like the magic was going to come back again as Brandon Fahey -- perhaps the unlikeliest of all the Orioles -- doubled to extend the game. However, Roberts were retired to end the contest. The game would have been lost if not for the work of Dennis Sarfate who relived Burres and went more than three innings, and Alberto Castillo who pitched well also. The veteran Angels got a run off Chad Bradford in the eighth, and it was pretty much decided at that point. Ben of Oriole Central was able to get a major interview this week with Brian Roberts. Although he does not ask anything about the trade rumors, you do get a lot of out of him and he also mentions his bracelets that he has on sale for charity. Anyhow, our second baseman has a video blog on MASN Sports and in his latest post, he talks about his at-bat music, and the second half of the baseball season. Wednesday night's game that got continued Thursday might have been a stinker; however, there was much to celebrate as the '83 World Series reunited for their 25th anniversary on the field before the game. Well, Amber Theoharis of MASN has nothing but love and high praise for the championship team; Ricke Dempsey talks about '83 in his video blog for MASN; Eddie Murray chats with Jim Hunter; Camden Chat has a neat photo gallery of the action that evening; Orioles Insider takes a look at the action from the game itself; and the Orioles Hangout site laments on losing two games in one day. Meanwhile, WNST's Lonnie Nelson thinks the Birds botched the '83 Reunion. I'm not sure if I agree with him completely; however, walking the concourse during the game out of curiosity, he's in a way telling the truth. As well, Drew Forrester thinks the team didn't promote the event all that well, and Bob Haynie came away impressed with Mike Flanagan -- um, for one night away from his day job. The Roar from 34 took time during the rain delay Wednesday night, to ... um ... go on Ebay in a search for some rare Oriole items; however, let me not make light of it, I hit Ebay perhaps once a week looking for crap I may or may not really need. Heath of Dempsey's Army has an analysis of homers hit so far by the Orioles; The Wayward has an interesting flow of chart of the Baltimore Orioles that we can all understand; Around the Harbor takes a look at Maryland sports; Walker got lit up in his Bowie rehab start; Camden Depot looks at our trade options; Tony Pente thinks the Adam Loewen move from being a pitcher to a hitter is a good one for everybody; Stan Charles of Pressbox has his thoughts on Dave Trembley and Ben O'Brien has a profile on Adam Jones. For those of you who have been keeping score, or still care -- it looks like beleaguered slugger Jay Gibbons has found himself back in professional baseball. In a country that prides itself on giving people -- or should I say, selected people -- a second chance, Gibbons is getting his; however, lest we forget, for the most part during the last three or so years, he's been treated (no pun intended) as the red-headed stepchild in a family in which he wore out his welcome. From ESPN: The former Baltimore Orioles outfielder, who was named in the Mitchell report on performance-enhancing drugs and for months sought a chance to redeem himself, has signed a minor league deal with the Milwaukee Brewers. Unable to find a job six weeks after his release, Gibbons, in a letter to all 30 Major League Baseball teams, acknowledged he had made a mistake. He offered to donate his minor league salary to charity if a major league team gave him a minor league deal. The 31-year-old Gibbons was released by the Orioles in March after he batted .189 with no home runs and four RBIs in 16 games in spring training. He played in only 84 games last season because of surgery on his left shoulder. Now, Gibbons, 31, is expected to spend the next 10 to 14 days at Double-A Huntsville before being promoted to Triple-A Nashville, if all goes according to plan. He had been playing with the Long Island Ducks of the independent Atlantic League. "He's a little rusty, self-admittedly rusty," Brewers assistant general manager Gord Ash said according to MLB.com. "The idea is to get him some minor league at-bats and then evaluate as we go along." Ash was the Blue Jays' GM when that team drafted Gibbons in the 14th round in 1998. The Orioles acquired him in the 2000 Rule 5 draft. "They sat down and basically interviewed him," Brewers GM Doug Melvin said, according to MLB.com. "Gord is familiar with him from Toronto, and [Gibbons] wants to get back and playing. I don't know exactly what his [off-the-field] issues were, but they were not enough to not give a guy a second chance. He's always been a good guy with a good work ethic." I will admit -- I think Gibbons has gotten a raw deal. If old guys like Paul Lo Duca, the self-absorbed like Jose Guillen, or middle-of-the-road reliever Guillermo Mota and the countless others in the Mitchell Report could find jobs or maintain them, why couldn't Jay? Some people railed against him for his drug use, physique and being named in the Mitchell Report, but let's be honest with ourselves. He might have been a great community guy, good with the fans, and besides his PED episode never ended up in the police blotter or yet never had a bad word really uttered about him in the public domain. The reason why no one wanted Gibbons is that he didn't produce. Never a great fielder, or a five tool guy, he had one great intangible -- he could smash a baseball, and that watered many people's mouths. Do you think he would still be an Oriole if he was batting .300 annually and hit 25 homers? Of course. Lest we forget, a good guy like Andy Pettitte used HGH and found his name dragged into the whole Roger Clemens affair -- however, he's been accused of the same thing that Jay and may have done, but he's employed. His teammates went to bat for him, and so did the Yankee brass; alas, let's not forget -- he produces and wins! Do you think the Yankees would part with his 11 wins and 3.86 ERA in a pennant race to prove a moral stance. Please. Sports is a business, and winning is everything. Now, let's get back to Gibbons. Honestly, his tenure with the Orioles came to an end simply because it was a referendum on his lack of performance, inability to field his position and injury concerns -- not because of the Mitchell Report. Anyone who thinks otherwise is kidding themselves. The so-called cheaters in any game will always get ahead if they produce. Um, then again, the same cannot be said for Barry Lamar Bonds who literally built the San Francisco Giants of the mid-90's into this decade, but is now on the outside looking in when it comes to the grand game. This year's rendition of the midsummer classic was nothing short of amazing, and was worth every penny I spent on this trip. Though it was a drag watching a game go fifteen innings and having adrenaline keep you up, it was a lot of fun to partake in especially with the conversations I had with various fans around me. In addition, getting to your hotel at 4 am after enduring a crowded sweaty trip is nothing to be happy about; then again, it's the All-Star Game. I will say that the event this year at Yankee Stadium was perhaps underwhelming in comparison to what I saw with the last few I saw in person, it exuded a lot of class. The tribute the fans give to Bobby Murcer before the game was extremely touching; as well, seeing the Hall of Famers on the field side by side joined by the starters at each position added a touch of nostalgia and respect. However, I have one caveat about the spectacle -- start the damn game earlier! Sorry, the ceremonies are nice -- does it have to be so overdone that it's dark by the time when the actual competition (I mean a so-called exhibition game, silly me) begins? I say start the game at 7pm, so a generation of kids, and people on the East Coast can watch the game in it's entirity so they won't have be all dreary eyed by the time they walk into the work the next morning. Making money is nice, but why alienate a portion of your audience, Bud Selig? Oh finally, I think the game should be an exhibition -- not a determining factor of which league gets home field advantage during the World Series. I liked that the game this year was actually competitive -- but c'mon --did we really want to see J.D. Drew or David Wright pitching (oh, imagine the horror if one of them got injured), just because both teams ran out of pitchers? I say carry extra pitchers -- or better yet, have the game on Wednesday (after the Home Run Derby on Monday), so everyone has a chance to pitch. Baseball has done a fine job in building it's product in the past twenty years, but the All-Star Game can be very much improved. Last night at Oriole Park at Camden Yards, the 1983 World Championship reunited to celebrate the 25th anniversary of the organization's third and most recent World Series victory. Although I was only five years old when Baltimore won the holy grail, and have absolutely no recollection of that time aside from a few events, it was nice to partake in the nostalgia and learn why the 1983 team was so special and still resonate in the hearts of many. Through stories and images shown on the large video screen in center field -- before, during and after the game -- fans who remember that period got to relive happy memories; meanwhile, a whole new generation got to see a winning Oriole team on the field. During the on-field ceremonies, the players seem to jostling and having fun with one another. Despite the crowd being a lot smaller than expected in the stands -- as it seemed a lot of fans were waiting for autographs in the concourse and on Eutaw Street (where the trophy was being displayed) -- the fans gave their respects to their heroes of yesteryear, and the players responded in kind. Seeing Cal, Eddie, Mike Flanagan, Boddicker, Jim Palmer, Dennis Martinez along with Tippy on the field with my own eyes brought back images I've seen on video as well as stories I've heard and again from the mouths of fans and the media about the good ol' days of Oriole baseball. Although many fans have not experienced seeing the Orioles as a winning team, it was good to see the good 'ol days once again come to life and in living color. In other news, it rained hard and stormed last night -- the game was suspended until Thursday afternoon -- and the Orioles managed to lose two games in a row in the same day. It was hot, and the ball was flying out of the Yard last night; however, despite four hits and five RBIS from Melvin Mora, the Orioles lost to the offensive barrage by the Blue Jays, 10-8. The battle of the bottom feeders in the AL East was an ugly one as both starting pitchers -- Olson for Baltimore and Marcum for the Jays -- were nothing but awful and could not escape out of the fifth inning. Garrett Olson looked fine as he labored through the heat, until the about fifth inning. In that fateful frame, he was stung for five runs, and he once again could not manage to get deeper into the game. Once again, the Birds came back -- mainly, off of Mora's bat and a hot Ramon Hernandez -- however, in the seventh, Adam Lind took reliever Alberto Castillo for a three-run homer and that made all the difference. In the end, Baltimore's inability to get their starters deep into the game and as well a bullpen that is starting to wilt because of the weight put on it contributed to last night's loss. There is only so much the offense can do; however, if the pitching cannot cooperate, there's no way the Orioles can expect to win night in and night out. Dave Trembley can do all he wants with moving guys and strategy, but until the pitchers can do their job -- the team will struggle. Tonight should bring some nostalgia and good feelings back the Orioles celebrate the 25th anniversary of their 1983 World Championship Team at the Yard tonight. In front of dozens of fans dressed in orange and black, along with those out on their lunch break on a hot day during work, Oriole catcher Ramon Hernandez took questions from fans for about 25 minutes Tuesday afternoon in downtown Baltimore. The event was sponsored by ESPN Zone in Baltimore’s Inner Harbor and the Baltimore Orioles’ public relations department, and Hernandez was reflective, candid and full of praise for the organization he currently plays for. Fred Manfra, the team’s play-by-play radio announcer, acted as the moderator and the catcher talked about a wide variety of subjects about the sport and also everyday life as a ballplayer. As well, fans answered trivia questions about the catcher for complimentary game tickets and after the Q & A, fans were invited to have him autograph whatever memorabilia that they brought. The afternoon event took place after he hit a huge home run to help the Orioles charge to victory over Toronto. He started off the Q&A as mentioned about being able to wake up and bounce back the next day to see the crowd in attendance – considering the sweltering heat the Mid-Atlantic region has had of late, “You get used to it – a little bit”. Needless to say, it’s been quite a year for the Baltimore Orioles – especially considering the doomsday predictions of many; thus, Fred touched upon the subject and Ramon expanded on it from a player’s perspective. Manfra soon turned to the topic of Radhames Liz – the starting pitcher on Monday --- thus, after a tough start by the young pitcher; Ramon had nothing but praise for him noting changes he saw in Radhames in his first tour of duty in the majors versus now. Then the conversation turned to onto the topic of hitting and his approach at the plate, and Ramon surprisingly doesn’t put too much analysis into it, preferring to keep things simple. As any Oriole has observed, Ramon’s tenure with Baltimore has been filled with ups and downs; however, he’s done his best to try to keep things in perspective as a veteran. He was soon asked about his favorite players growing up in the game of baseball, and he gave his praise to former Twin, Tony Oliva. The mood at the ESPN became lighter as he talked about his teammates – a popular subject for anyone who has had to sit on the wooden stools facing the crowd. Obviously, he only had love for his teammates. The topic soon turned to the skipper, Dave Trembley, and his influence on the Baltimore Orioles squad has been immeasurable. Manfra, afterwards brought up George Sherrill, who has been nothing but special in his first season with the team as the closer. Hernandez gave the straight-bill wearing southpaw nothing but respect and admiration. Naturally, he went on about his teammates, especially considering some tidbits, and some fun stuff. The topic soon turned back to Ramon’s catching and Manfra touched upon his preparation for the 2008 season, considering the struggles he had in 2007 with injuries and poor numbers after his banner season in 2006. The topic soon turned to his preparation and interaction with the pitching staff before and during a series. Finally, the Q&A ended with Manfra asking about his favorite moment as an Oriole, and with the comebacks and inspired play, he mentioned his banner moment was the game he played -- the night before. The Orioles with a little less than 13,000 of their closest friends in attendance defeated the Toronto Blue Jays, 8-3, on a sweltering summer night. Despite the heat, they used the long ball — supplied by Adam Jones and Ramon Hernandez’s home runs — along with a timely Melvin Mora hit to come out victorious. Right now, we have to be really impressed with Jones as he’s developed as a hitter (based on where he started off in April versus now) and the ability to take his game to the next level. After losing again on Sunday, the win last night was a welcome change. Our starting pitcher Radhames Liz was not great — in fact, he was quite mediocre — however, he got the win going a little more than five innings, but finding himself in trouble more often than not. Even with six walks, he only yielded three runs, but seemed to lack control and command. It does not matter how hard he throws — if the ball cannot be spotted, he’ll be lucky to survive in the majors. The thing we are seeing with the young pitching is that the offense is basically saving them, because they are not looking that good. Right now, it looks like Olson and Liz are over matched, but the only way they can learn is to be thrown into the fire. On a side note, the Orioles and Nick Markakis once again started contract talks around the All-Star break and then tabled it. What does this mean? Right now, not much as they still have him for three years, but as the money keeps going up, a lot of teams are locking up their youngsters earlier. When you look at it, I figure Markakis and his agents are going to be after what the market has offered his peers (Fielder, Tulowitzki, Braun) — however, the Orioles are not biting — at least for now. Will this piss off Markakis? Maybe, but Baltimore is not doing anything unethical. Based on his numbers the past several years — Nick will get his money in arbitration (if the team and he choose to go that route in the offseason). Alas, the fan base and I’m sure would be happy to get a deal that keeps him in a Baltimore uniform long term and obviously gives him the financial satisfaction he wants. Either way, he’ll get paid. Obviously, the longer it takes the Orioles to sign him to a long term deal, harder it will get; however, we have a lot of time, and we should not be ready to jump off a cliff yet. After an awesome win on Saturday night, 11-10, supplanted by Luke Scoot's walkoff; Daniel Cabrera looking awful, and Detroit's Nate Robertson even worse, the script turned out to be the same on Sunday -- yet another loss -- their 15th in a row. Sad to see, honestly. Baltimore earned a split with Detroit in the four game set, but lost 5-1 on a blistering hot Sunday. Despite a potentially generous promotion, and the Orioles whipping out their batting practice jerseys to stem the losing, the Tigers got the best of Brian Burres as he wilted in the middle of portion of the game to take the loss. The bullpen was ineffective and they let the deficit grown in the latter innings. Add poor base running, and Luke Scott's blunder in the second inning only illustrated the problems that they've encountered all season. Meanwhile, Detroit's Verlander looked like a Cy Young candidate despite his record as he went 8 2/3 innings, only gave up three hits. He stymied the Orioles all day, and aside from a single run scored on him -- Baltimore had absolutely no chance on Sunday. Well, in the past two weeks, I have seen why most picked the Orioles to finish where they did. Honestly, a .500 would be real nice, but if you look at the team at face value, we've got a lot of holes and players in two years who will not be a part of the equation. Aside from Jeremy Guthrie, Nick Markakis, Adam Jones, and perhaps a few other guys on the roster -- things are in so-so shape. While the offense has come together, the starting rotation (aside from our own 46) has been inconsistent, and at times not very good. Although I have said my peace about the 2008 version of this squad -- which has no doubt been entertaining -- you've got to give Dave Trembley all the respect in the world for guiding the team as he has and fostering the idea that they can be in every game. As well, this man commands respect not only for his team, but for the game, and the fans who spend their hard earned money. Andy MacPhail must give him an extension and build up this organization. However, it's time to make some moves as I think we've seen enough. Most of us here are thinking about the future, so let's keep that going and not be so centered on the present. You've got to feel for Adam Loewen, as he'll now try to start his baseball career over as a hitter in the Rick Ankiel mode; however, the tall righty who's got the spirit of a bulldog never really made much impact for me as a pitcher. He never got the opportunity to show his ability on a regular basis, as Loewen never been healthy; alas, he's got the physique and mindset to do well as a hitter, but it's all easier said than done. Finally, if we're going to get a shortstop to perhaps make things tolerable for us, why did we have to sign a 36-year old? O’s Snap Three Game Skid; Swapping With A Rival? It was hot, but for fans who got out to Camden Yards last night, they got to see an amazing and well-needed win as the Orioles downed the Tigers, 7-4, last night. Luke Scott, who had been slumping pretty badly hit two home runs led the way. As well, Melvin Mora added a two-run shot — which hit the top of the foul pole (something I’ve never seen) and Aubrey Huff’s solo shot — his 19th — gave the Orioles a large enough cushion to earn the win. The powerful Tiger offense got on the board early, but Jeremy Guthrie gutted through the evening and he got the offensive support he needed. The win snapped a three-game losing streak. George Sherrill earned his 29th save, and seems to have recovered after his extended stint in the All-Star Game on Tuesday. A thought for today — we’ve all been talking about trade scenarios for the past two weeks or so, and would you be willing to trade someone like Sherrill to a division rival like the Red Sox or Rays in return for some premier young talent (knowing that a lot of teams need a closer)? I know it’s not common practice these days (at least for someone with the skillset of Sherrill); however, could this be something to be considered or is the answer no at all costs? The Baltimore Orioles started off the second half of the season much like the first -- with a loss. Detroit, which started off the season in a horrendous fashion have come back to join the dance in the American League Central. And last night, Baltimore saw first hand how potent the Tiger offense can be. The roaring Tigers rolled into Charm City and downed the Orioles, 6-5, last night at the Yard. Baltimore had their chances; alas, they made umpteen errors on the base paths (including Markakis' blunder, and Mora being nailed at home) despite 14 hits. We didn't give up as a ninth inning rally was started and the Orioles scored a lone run off closer Todd Jones, but could not finish the task. At least they didn't quit. Garrett Olson looked shaky, as he gave up five runs in six innings of work and the Tigers jumped on him for four home runs; meanwhile, Detroit's Kenny Rogers, didn't look that great -- however, he earned the win. With the two men, it was experience versus youth and this time, experience won out, as the young pitcher who wasn't on his game got shelled; meanwhile, the crafty veteran used his bag of tricks and a lot of luck to get himself of trouble. At this point, the young pitchers on the squad are going to have to learn how to hunker down and get themselves out of trouble, much like Rogers had to do. At this point, all we have to do is be patient and hope the Oriole coaching staff can get these guys to focus at the task at hand -- one batter at a time. Well, if some of you will be in the area on Sunday it might be worth getting an Orioles ticket. The "We Win, You Win" promotion is back, and this time around, if the Orioles win -- all fans in attendance at the 1:35p.m. game will get two complimentary tickets in the same seating category to any future nonprime game if Baltimore wins. I know many of us have had issues with the PR department, but give them credit -- they are trying to get people back into the park and rally around the team. Baltimore would be in great shape if they simply just held a .500 record on the day of the Sabbath as they have 13 straight losses on that day. Lord knows what will happen next if the Orioles lose yet on another Sunday. Obviously, a lot of fans will be looking forward to the next couple of weeks as it could chart the course for the Baltimore Orioles for years to come via either trades, signings, etc. We all will be looking to see what Andy MacPhail does and personally, he needs to stay on the rebuilding course as Peter Schmuck notes. Oriole Magic's James Baker looks at what the summer holds for Baltimore, & the team is still dealing with injuries -- mainly to Loewen, Albers and Cintron (who may be back shortly). Spencer Fordin looks back on his first half, and Sun beat reporter Jeff Zrebeic grades the team so far. Folks, I'm alive. It's just been a busy week, and I didn't do much because I was pretty worn out from my whole All-Star experience and then commuting back home (which was all right), but considering I didn't get back into my hotel until nearly 4am after the game and had to check out by 11am, I didn't get much done. It's not cool to have a game end at 1:4o in the morning, and then take a train back to Manhattan to pick up your car. Baseball needs to start the All-Star Game earlier, so actually a generation could be able to watch an event in it's entirety. The pictures are coming - you just have to wait another day or two. This year's rendition of the midsummer was nothing short of amazing, and was worth every penny I spent on this trip. Though it was a drag watching a game go fifteen innings and having adrenaline keep you up, it was a lot of fun to partake in especially with the conversations I had with various fans around me. Seeing George Steinbrenner on the field during the pre-game stuff was very interesting. I sat in the upper deck, perhaps along the third base line and 6 rows up the railing, but you could clearly tell he was not in good shape. He looked extremely moved by the whole affair, and was just in awe. Personally, I have mixed feelings about him -- considering his ownership tenure, and being suspended from baseball twice; however, his philanthropy and assisting those in need (especially the Virginia Tech community after the shootings), doesn't make him a bad guy -- just an overly competitive man who can be uncompromising. The game itself dragged at times, and I was kind of alarmed at the response the Sox players got. Yes, I am not a Yankee fan -- but could the differences between Yankee and Sox fan be put aside for one day? Even at the end of the game, J.D. Drew got booed without mercy. Even funnier, Scott Kazmir and Evan Longoria got booed too -- so perhaps, the Rays are now officially part of the American League East dance. However, for one night -- I wish Yankee fans would have put their hatred towards other teams and players aside. The contrast in reaction between A-Rod and Jeter was startling. While both men got cheers their way -- Jeter was cheered respectfully and with passion; A-Rod, um, not so much. Papelbon got serenaded with boos as bad as I have ever heard. While I think he made some stupid remarks out of ego concerning closing out the game, it was blown way, way out of proportion by the New York media. After the eighth inning, let's just say he got it from the New York faithful. New Yorkers love Sheryl Crow -- um, Bud Selig, no; Sarah Jessica Parker who brought a ladies' view of New York onto the small screen, seemingly isn't well liked either. We (the fans) were coming up with strategies what the teams would do if the game even went longer; however, no one of us thought that we could have seen David Wright or J.D. Drew pitch? What in the world. I am so glad it didn't happen, or else this game would have been turned into a complete joke. Needless to say, George Sherrill was impressive. He 2 1/3 innings on Tuesday, or should I say Wednesday morning -- especially after his horrible week prior -- awesome. Finally, I wore my Oriole cap along with my Terps T-shirt, I got zero problems whatsoever from Yankee fans (then again, if I sat in the bleachers - I might be in jail or not around to tell my story). In fact, I saw a few Oriole fans there, including a lady who wore a "This is Birdland" T-shirt, as well, I had the extremely good fortune of sitting close to a O's fan, and in back of me was a Nationals fan with his son from Chevy Chase, Md. -- the next town over fom where I live. Great game to see, and it's always nice to see history -- again. In an effort to snap their 14-game Sunday losing streak, the Orioles have announced a sequel to the popular “We Win, You Win” promotion from July 6. The “We Win, You Win 2” promotion will raise the stakes, as all fans in attendance at the 1:35 p.m. game on Sunday, July 20 against the Detroit Tigers will receive two complimentary tickets in the same seating category to any future non-prime game, if the Orioles win. Through Sunday’s game, the Orioles were 45-48 on the season. They had a 1-14 record on Sundays, having not won a Sunday game since April 6 vs. Seattle at Oriole Park, the opening weekend of the year. The Orioles have a 44-34 combined record on all other days of the week. Tickets for the Sunday, July 20 game are available for purchase online at www.orioles.com; via phone at 1-888-848-BIRD; or in person at the Camden Yards Box Office. The “We Win, You Win 2” offer is valid for paid tickets only. If the Orioles defeat the Tigers, fans will be given two tickets in a comparable seat location to any of the 29 remaining non-prime dates during the 2008 regular season for every ticket turned in, subject to availability. If the Orioles win on July 20, the Camden Yards Box Office will remain open following the game to accommodate those fans wishing to redeem their tickets, though fans will also be able to redeem them any time prior to the conclusion of the season on September 28. Greetings everyone, I'm here in balmy New York for the All Star Game. Ah, what a night on Monday at the Home Run Derby where Josh Hamilton literally brought the house down in more ways than one. Hamilton, has pretty much become the media darling this season and after last night, it can be assumed his legend will only grow. He broke a record -- which was held by Bobby Abreu since '05 -- by hitting 28 homers in the first round; however, he lost to Minnesota's Justin Morneau in the final round. Although some people may love Hamilton's story, or find fault him that he wasted several years in an abyss of drugs and self-destruction, it's no doubt amazing the transformation he's made and using his god-given talent to play the game. If there's anything Hamilton can do being in his unique position -- he can be inspiration to those to make a difference. It should go without saying for the most part, the House that Ruth Built is certainly less-than-a-desirable ballpark these days (I paid a good bit for a ripped seat); however, as any baseball fan knows, that place is one where the spirits of the past -- Ruth, DiMaggio, Mantle, Maris, Gerhrig roam -- made themselves into legends and a piece of the American sporting landscape. They'll be moving into a monstrosity next door -- a billion dollar masterpiece -- alas, the old Yankee Stadium is a place in sports history that cannot be understated in any shape or form. I'll have pictures up in a bit of everything from yesterday; however, it is scaled back from last year because, frankly, I drove up here on Monday morning, visited some old friends, and was worn out. I didn't do the Sunday stuff, nor see the Fan Fest. This year, the photos will be on the Derby and All-Star game itself. The Orioles went into the heart of Red Sox Nation last night, and after a torrid week where they were swept by the Jays and mired in a five losing streak – finally, a win. Now, we have once again moved within a game of .500, with our record at 46-47. Baltimore beat Boston, 7-3 and they roughed up Clay Buchholz, who we all know no-hit the Orioles last season. This time, he looked nothing better than average as the Orioles took advantage of his shaky performance after being called up from the minors. Brian Roberts had three hits to lead the charge — almost missing the cycle (he needed a home run) and lithe Brandon Fahey had two hits along with two RBIs, along with Melvin Mora. Oriole starter, Brian Burres — who seems to be great with five days or plus rest — stymied Boston for a little more than six innings as he three runs on six hits for his team-leading seventh win. As it has been this week, the ‘pen made things interesting as Jim Johnson was once gain thrust in a clutch situation and got himself into some trouble; alas, George Sherrill came into the game to strike out Kevin Youkilis to end the game for his 28th save. The last two days have not been good in the off-field news for Major League Baseball in the Mid-Atlantic region. Well, first off,the Orioles fired a high-ranking scout after Major League Baseball's newly formed investigative unit linked him to a gambling probe which was reported by the Baltimore Sun. The fired scout, Alan Marr, was national cross-checker for the Orioles and the top person listed in the team's scouting directory. The gambling investigation that led to his firing first was reported Friday by SI.com. MLB's investigative unit is still actively investigating scouts as part of the gambling probe. There has been no indication games were fixed, the person with knowledge of the probe said. The gambling investigation involved bets primarily on football, a second person familiar with the probe said, also on condition of anonymity because he was not allowed to speak publicly. "I am confident that both the authorities and our investigative team working together have determined the scope of it, and it will not be any broader than already has been reported," said Bob DuPuy, baseball's chief operating officer. Andy MacPhail, the Orioles president for baseball operations, declined to go into the reasons for Marr's firing. "He's no longer our employee. That's all I can say," MacPhail said. I'm not surprised any of this happened, and considering the large amount of money that sports provides for those with the opportunity, it was just a matter of time before something like this was uncovered. However, this case also shows that the majority of those in baseball do maintain some integrity and decorum with their job, and hopefully this investigation will not uncover anyone else involved with the Orioles or baseball. Second, down the road in Washington, there are quite a few sordid tales perhaps being brought to the surface -- this time with the Nationals. The organization has taken a beating in the Washington Post the past few days concerning the viewership on MASN and also the Lerner Family (which owns the organization) withholding rent payments because they contend the city didn't finish their new stadium on time, and ESPN uncovered yesterday that team Vice President and General Manager Jim Bowden and consultant Jose Rijo recently were interviewed by the FBI and Major League Baseball concerning the signings of players in the Dominican Republic. Right now, Washington baseball is going through some growing pains as the team is trying to develop a core for the future and the product on the field is rather poor, but this team has had some awful publicity this week. Now it looks like Bowden and Rijo were just questioned, not implicated with anything and perhaps the investigation may spread to all 29 other teams, but right now down in the Nation's Capital - when it rains, it pours. Hopefully, everyone will cooperate, nothing is found and things were done in an ethical fashion and everyone can move on and conduct business as usual. Let's hope that they don't get a permanent PR beating for these issues, aside from the product on the field. Again, there's so much money in sports now that I am not surprised by any of this. The last thing anyone needs is baseball to be even more soiled by tales that seem to be more in line with what happens in the NBA, mob stories, or big-time college sports. If any of you have time tonight, Brooks Robinson, Oriole living legend and baseball Hall of Famer Brooks Robinson will be on hand for a Q&A with the fans tonight at the ESPN Zone in Baltimore's Inner Harbor. The event starts at 7:30pm. Jeremy Guthrie at the ESPN Zone on Monday: For those of you who need a fix of baseball due to the regular season being on a hiatus for a few days due to the MLB All-Star Game, Jeremy Guthrie will host a "Play Against the Pros" event in the Arena. Fans will go one-on-one with the pitcher in a game of basketball -- not on the court -- but in an carnival like-setting upstairs in the ESPN Zone. Guests are invited to pay $5 to play against Guthrie, with all proceeds going to charity and will also have giveaways for the participants. For those of you who like to attend the ESPN Zone Afternoon Q&A series, the next confirmed guest will be Ramon Hernandez. It will take place July 22nd. Last night was painful, as the Orioles lost a game they should have won. It’s another loss, their fifth straight, and a blown save by George Sherrill. I figured this week was going to be a test for Baltimore, and alas, they have lost every game in the Blue Jays series by one run. They lost 6-5, as the Jays won in the bottom of the ninth. Yet, another fabulous effort by Jeremy Guthrie went by the wayside as formerly-clutch Jim Johnson gave up three runs in the eighth inning and started the Toronto comeback. The bats were alive, but the once trusty bullpen is fading, or just going through a horrendous stretch. However, when you have little margin for error to begin with for matchups, every little mistake gets amplified. Next is Boston on the docket, and they are playing some great baseball — evident by their sweep on the Minnesota Twins. Things could get ugly unless the pitching really steps up. Could Oriole Magic be done? Are they down and out for the count this season? After a bad week, is it finally time to consider moving pieces once and for all with about three weeks left before the trade deadline? And if we do move someone, who you would want in the lineup (Wieters is the obvious choice, but what about others)? Aside of Guthrie and Cabrera (When he’s on), the pitching will have to go through some growing pains to improve (if it does). Johnson has been overused, IMO — Sherrill, will go through ups and downs; however, it might do good to give him a few days off. The rest of the ‘pen aside from Sarfate/Bradford/Walker could use a little seasoning. The Orioles were overplaying in the first half, and now I think they are starting to wilt. The offense looks fine, but the game is all about pitching and it’s faltering. 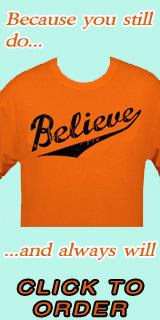 Well, could this be the downfall of the Baltimore Orioles that we all expected, or just a rough patch? The Orioles started off plain awful – I mean awful. A horrific inning on part of Garrett Olson, bad defense and an impressive output the Blue Jays with two-out hits allowed the Jays to beat Baltimore, 9-8. Despite the bad inning in the fourth frame, Baltimore came back from a five run deficit, with an aggressive showing in the latter half of the game. Nick Markakis homered and scored three runs in a three-hit performance while Adam Jones added a three-run homer for Baltimore – his first since June; however, the Oriole rally came up short. Do you guys think the young pitching along with the bullpen are starting to wilt because of the long season? As well, one more thing I’d love to ask, what do you all think of development of Adam Jones? He had some growing pains at the start of the year, especially at the plate, but he’s coming along just fine. His average is up, and he’s seemed to at least cut down on his strikeouts. I like the kid, and personally, I can tell he’s improving and is heeding the advice of all his coaches and staff. At the end of the day, you can’t be anything but impressed. When he plays in center, you feel like the kid is a 10-year veteran, not a second year player. Despite his numbers perhaps not being all that impressive (perhaps average), he’s learning the game fairly quickly at this venture, and his upward climb reminds me a lot of what Markakis had to go through in his first season. It’s his inexperience that is hindering him his point. Jones has had less than 500 at bats in MLB and his numbers so far shows that he gets the game, but is still definitely learning at this level. The experts say you need at least 1000-1500 at-bats to determine a player’s abilities at the plate. He’ll be fine, and at this point, we should be all be impressed that he’s worked himself up to a .281 average on July 10th. We should not worry, he’ll be someone who’ll grow on us. Boy, once he gets better at recognizing pitches at the plate, he’ll start crushing the ball on a more occasional basis. As you know our beloved Birds lost last night. Obviously, this is one game out of many; however, this one hurt. By now, you all saw the moment in the ninth inning. After blowing a four-run lead, the Orioles had the game tied in the ninth against the Blue Jays with the bases loaded and with two outs. Then the moment that will perhaps be seared into our memories, at least until next week. With two outs in the ninth inning, Freddie Bynum who was playing shortstop let a routine grounder roll through his legs and allowed Alex Rios, who was at third to score. By then the Jays had won the 7-6, but only after the Orioles allowed them to come back from a 6-2 deficit. Baltimore's bullpen which has been solid for most of the year, collapsed in the seventh inning and set up the game-winning moment in the ninth. It blew Daniel Cabrera's solid start, and boy was he not happy at the end of the game. The O's are now at .500 and have lost four out of their last five games. To add insult to injury, one of our young guns, Adam Loewen perhaps may have found himself of the shelf again, and one has to wonder about his career from here on out. He's back on the DL. "He's not going to pitch for a while," Trembley said. "My concern is right now is to see what Dr. Andrews says, consult with Dr. Wilckens and then go from there. Let's hope for the best with Adam, he's a good guy and see if he can make it back into the Oriole pitching staff sometime in the near future. The Baltimore Sun has a roundup of what all the national press columnists are saying about this year's team -- very, very interesting. Also, despite the Orioles playing well -- anyone who thinks the Orioles are even close to competing for a pennant has themselves fooled; however, Joe Morgan thinks the Orioles can contend by trading prospects for major league proven talent (thank the Lord that Rick Maese sets the record straight). Pressbox's Amber Theoharis still thinks the team has a lot of work to accomplish in order to contend and they take a look at what is going on down at the farm level. As well, you have to take a look at this article by Stan Steinburg at the audience for the MASN/MASN2 telecast for both Orioles and Nationals games -- it's quite glaring and sad, assuming the data in correct as the Washington Post's Dan Steinburg penned in an article on Monday. The Nationals, whose games are broadcast on either MASN or MASN2, are drawing a 0.39 average rating and an average of 9,000 households in the Washington market, according to the report. That's a decline of about 43 percent from last season's totals, and a significantly lower regional sports network audience than any other U.S. team has drawn this season. The figures do not include potential viewers outside the Washington market; MASN's reach stretches from Harrisburg, Pa., to Charlotte. The Baltimore Orioles, whose games also appear on MASN and MASN2, are averaging a 3.05 rating and 33,000 households in the Baltimore market. Aside from the Nationals, the Kansas City Royals have attracted the lowest regional audience, approximately 28,000 households. The numbers for the Nationals are startling, and while the Orioles may look good in comparison -- there's bad news for both teams. The Nats are dead last in viewing, while the Orioles are 28th. Not good, and it comes to show that you need a viable product on the field to gain any traction among fans. Alberto Castillo is back in Baltimore; Jay Payton is realistic about his role on the team; Sherill's teammates felt like he deserved All-Star nod; meanwhile, Aubrey Huff is back on with his career at this point & was named AL Player of the Week. O's Down Rangers, 10-4: What Do The O's Do?